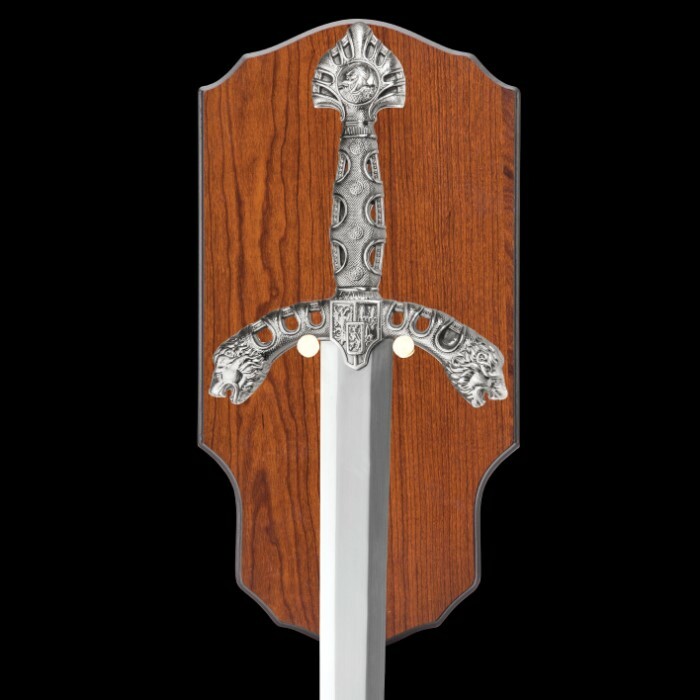 Tomahawk Display Sword with Wooden Plaque Mount - Mirror Polished Stainless Steel, Display Edge - Middle Ages Medieval Longsword; Knight; King Royal Insignia; Lion Head Crossguard - 46"
Boldly appointed, flawlessly crafted and downright enormous, this painstaking reproduction sword is a sight to behold! It stretches nearly 50" from pommel to point! 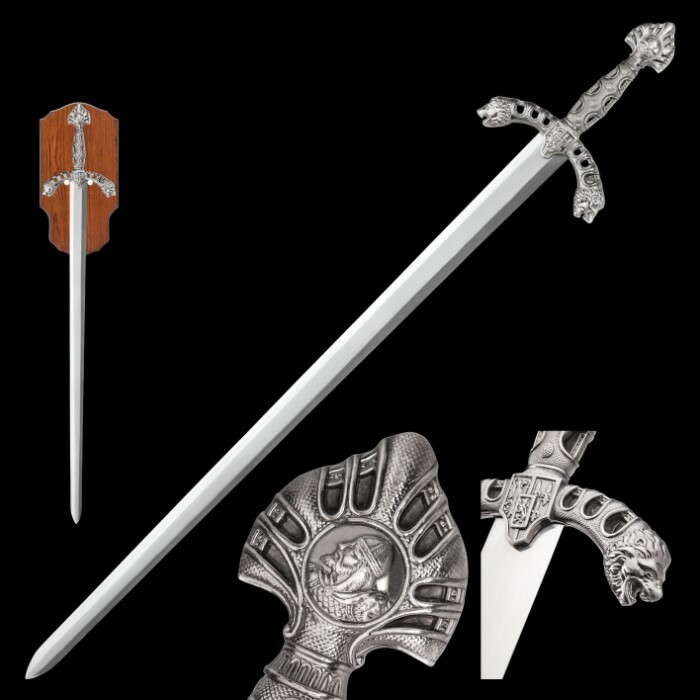 No one will miss this eye-catching beast of a sword, especially when showcased with the included wooden display plaque. 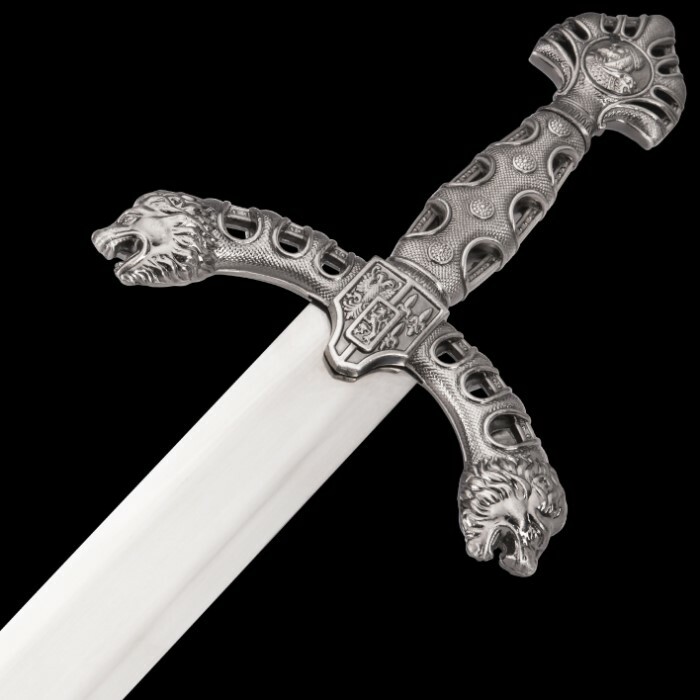 The mammoth false-edged blade is carefully mirror polished and boasts rock-solid stainless steel construction. 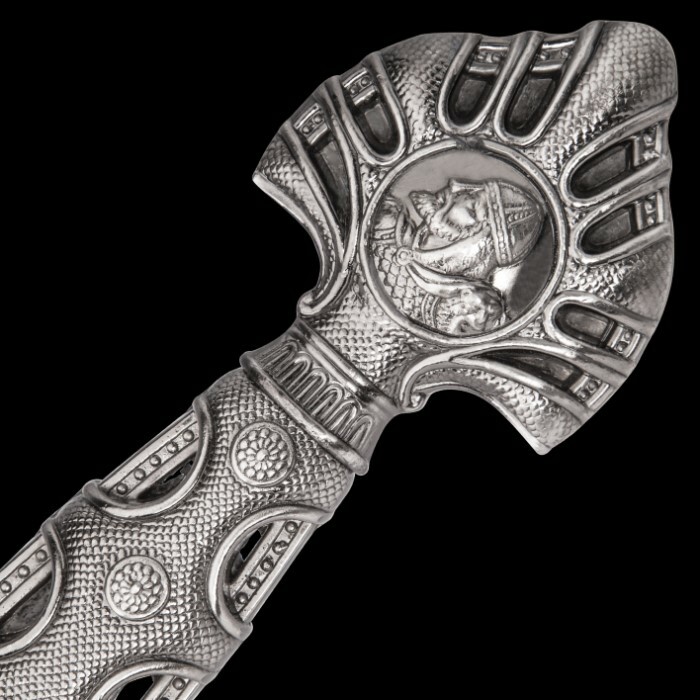 Comprised of intricate reliefs and extraordinary detail, the hilt is every bit as impressive as the giant blade. 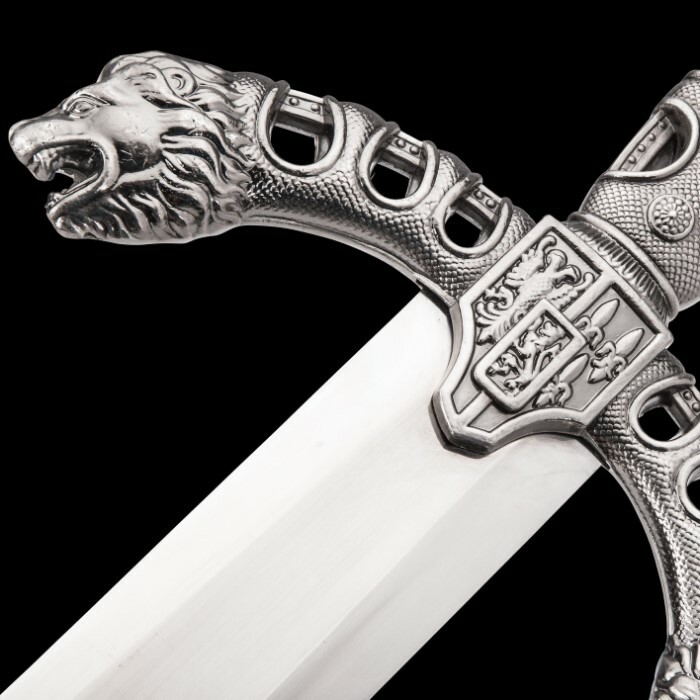 Twin lion heads bookend the cross guard, with a royal heraldic insignia embossed in the center. Perfect for collectors, Middle Ages weaponry fans or anyone who simply enjoys fine craftsmanship and stunning design.